Universities in South Africa are still producing “racialised outcomes” as a result of their institutional cultures, participants at a higher education leadership retreat recently convened in Cape Town were told. Vice-chancellors have a duty to investigate and reform the institutional cultures which continue to offer cover for racists and-or misogynists despite government efforts to address transformation, said Yunus Ballim, vice-chancellor at Sol Plaatje University, one of the country’s youngest universities which opened in 2014 in the Northern Cape province. “Unless the ways in which universities reproduce themselves as institutions are disclosed, they will likely continue to produce racialised outcomes,” he told a meeting entitled “Learning through Reflection: Advancement for a sustainable future”, facilitated by Inyathelo: The South African Institute for Advancement. It was revealed that within universities, a number of dialogues on the issue of transformation have uncovered significant antagonism towards transformation, with a number of staff and academics exempting themselves from taking responsibility for their behaviour. Meanwhile, many students of colour continue to suffer from what André Keet of Nelson Mandela University (NMU) described as effective “disaffiliation” from their higher education institutions. “Tone-deaf, systemic attempts at assimilation by universities which fail to see black students for who they are constitute a form of fundamental disrespect,” said Keet, who is chair: critical studies in higher education transformation at NMU. He urged university authorities to be open to all the possibilities for social orientation among their students, a point reinforced by a senior official from the Department of Higher Education and Training (DHET). “It is important to recognise that many of the country’s universities are viewed as toxic, unwelcoming and undemocratic spaces by a large number of students,” said Diane Parker, deputy director-general: university education, DHET. Keet noted that nationwide student protests since 2015 had exposed the universities’ failure to institute deep-seated transformation. “The success of disruptive approaches to producing social change poses a direct challenge to existing models for managing conflict which seek to forge a form of consensus that may be viewed as little more than a veneer for exclusionary practices,” he said. Noting that contestation can be productive, Keet proposed the idea of “dissensus” as an alternative mechanism for change, expressing the current higher education sector’s failure to recognise the lived realities and experiences of many of the cohort. At the same time, it was acknowledged at the retreat that there had been significant transformation within the South African higher education sector in terms of greater and more democratic access to institutions; the increasing diversity of cohorts and staff; and improved graduation rates for previously disadvantaged students, particularly in the science, technology, engineering and mathematics (STEM) disciplines. However, the failure of universities to foster social justice internally and externally despite transformation in their operations indicated the persistence of institutional cultures and logics that reflected fault-lines in society at large, said Keet. In this regard, the simultaneous success and failure of the higher education sector in relation to transformation has produced a number of contradictions – such as that of student protesters in the #FeesMustFall protest movement who both reject the current university system while seeking to achieve success within it. Ballim described racism as “a pathological attitude that conditions individual behaviour within certain groups and institutions" which was shaped by dominant, normative ideas, such as that of “whiteness”. He said the challenge posed by the dominant institutional cultures at a number of South African universities was their “viscosity”, which was a product of unexamined historical agency and prejudices. In the face of significant resistance to transformation in dialogues conducted within the universities, Keet said that a new approach was required – one which explored the actual level of interest in social justice among academics and provided greater clarity on how universities reproduce themselves on a daily basis at both micro and macro levels. Keet ascribed some of the challenges that had been faced in transforming the country’s universities to the widely-held view that moves to democratise access to universities after 1994 had placed academic excellence at risk. Policy-makers influenced by this argument had sought to protect the academic reputation of some leading South Africa institutions by further hierarchising the university space. Notwithstanding the importance of safeguarding excellence as a standard in the higher education system, the approach had led to the continued marginalisation of transformative work in universities. A number of steps were proposed to address the issue, including transformation of curricula and teaching methods. Ballim advised that disputation and dialogue about the nature of curricula, including around issues of race, class and the developmental impact of current training and knowledge production, could lead to the establishment of new forms of interdisciplinary study. “Specialisation for its own sake cannot be regarded as a virtue and academics should be encouraged to work outside their silos,” he said. Ballim also argued that approaches to teaching needed to be modified and greater flexibility in the language of instruction should be introduced. “Tutors must be open to the possibilities of other ways of knowing in order to engage authentically with their students,” he said. The issue of how a university’s institutional architecture can be adapted to support student learning on campus more effectively is being studied at Sol Plaatje University in tandem with a review of the institution’s role in place-making and development in coordination with the local community. Keet said students should be engaged as equals in transforming their curricula and in re-programming the systemic language that governs the administration of their universities. More broadly, universities should be adopting a leadership position in promoting social justice internally and externally, showing how South Africans can embrace their constitution and find new ways of being with each other, said Nazeema Mohamed, executive director at Inyathelo. The corporate sector should be engaged to fund this work, which is increasingly in their interests, she said. For example, when cultural issues produce crises within the workplace, human resource departments often recruit social justice experts to resolve the contestation. 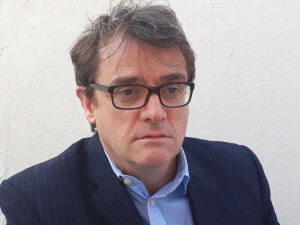 Mark Paterson is a senior journalist and communications consultant with a wide range of non-governmental, government and academic organisations. Originally published on University World News by Mark Paterson.